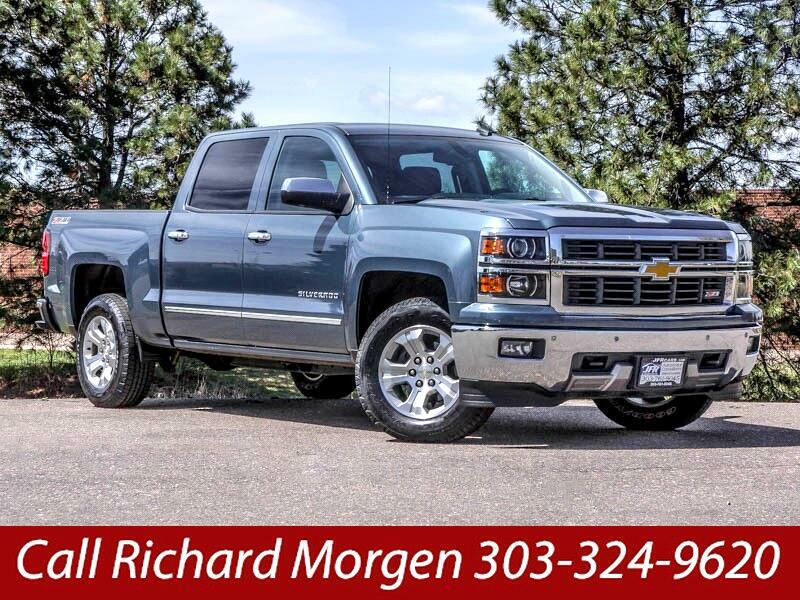 Used 2014 Chevrolet Silverado 1500 LTZ Z71 for Sale in Littleton CO 80120 JFR & Associates, Inc.
You can drive this truck every day and use it for hauling and heavy lifting when the need arises. This V8 engine offers plenty of power when you need it. Merging in traffic is a breeze, quick and easy. The cabin is roomy and comfortable. You'll find the gauges and instrument panel are nicely laid out and simple to use. Everything is right at your fingertips. This Silverado comes with a wide array of options like a tow package, remote ignition, MP3 CD player, heated steering wheel, heated front seats, park assist, Satellite Radio, front power memory seat, Bose surround sound, a backup camera, cooled seats, aux audio jack, plus lots more to make your driving experience more enjoyable. You are cordially invited to take this Chevrolet Silverado for a test drive and discover for yourself why this truck is so popular. Contact us today and schedule a test drive. You'll be glad you did.